protects your work floor to keep it damage and stain-free. Excellent where resin, expoxy, paints adhesives etc. will ruin and build-up in your work areas. Simply pull up the old paper and lay down a fresh floor! 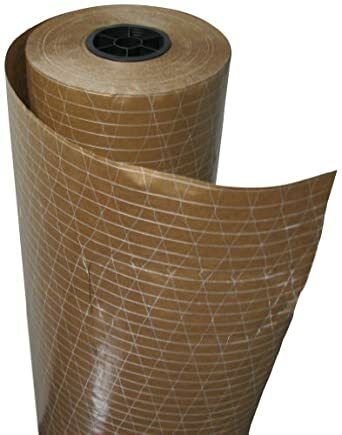 Ordinary kraft paper or rosin paper will tear and let liquid spills through, but the poly coating on our reinforced kraft paper provides a moisture barrier while the filament fiber provides strength from tearing.